New Jersey Governor Chris Christie has been having quite the week, between Ebola quarantines, a potential lawsuit and the two-year anniversary of Hurricane Sandy. The brazen governor who sometimes acts as if he's #sorrynotsorry personified has received the most national media attention this week since the George Washington Bridge scandal, or "Bridgegate" to still-disgruntled residents of Fort Lee, New Jersey. 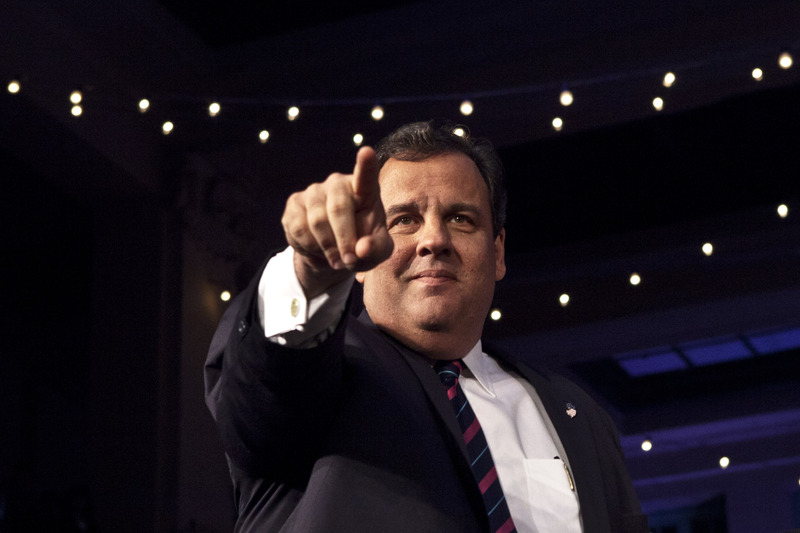 And you know what that means: more ridiculous Chris Christie quotes that we hate to love. Love to hate? "Whatever," says Christie. The primary source of Christie's recent outbursts is Kaci Hickox, the health care worker who was placed under a mandatory quarantine last Friday upon arrival at Newark Liberty International Airport. Hickox had just returned from Sierra Leone, where she was treating Ebola patients while on assignment with Doctors Without Borders. Unfortunately for Hickox, she arrived at Newark the same day Christie and New York Gov. Andrew Cuomo announced a mandatory 21-day quarantine for all travelers from West Africa who had contact with Ebola patients. Hickox was placed in an isolation tent at Newark's University Hospital on Friday night. She alleges that her isolation tent was like a "prison," with a portable toilet but no shower nor "connection with the outside world except my iPhone." After a few days at the Newark hospital, the New Jersey Department of Health allowed Hickox to travel back home to Maine...where she faces yet another mandated quarantine. Even though Hickox spent her stay in New Jersey in an isolation tent far from the governor, she and Christie didn't really get along. Nor did Christie really get along with the federal government this week, or the former city councilor-turned-heckler at a Hurricane Sandy event at the Jersey Shore. During a Wednesday afternoon event in the shore town of Belmar, which endured extensive damage from Sandy, Christie was interrupted by a heckler holding a handmade that read: "Stay in New Jersey, Finish the Job." It turns out the heckler was James Keady, who once served as a city councilor for nearby Asbury Park. Instead of smiling and ignoring Keady, Christie addressed him — in front of every camera and iPhone — and told him to take a freaking seat already. I'm more than happy to have a debate with you anytime you like, guy, because somebody like you who doesn't know a damn thing about what you're talking about, except to stand up and show off when the cameras are here. I've been here when the cameras aren't here, buddy, and did the work. I'm glad you had your day to show off, but we're the ones who are actually here to do the work. ... So listen, you want to have the conversation later I'm happy to have it, buddy. But until that time, sit down and shut up. "She Had Access To...Takeout Food From The Best Restaurants In Newark"
There’s been all kinds of malarkey about this. She was inside the hospital in a climate-controlled area with access to her cellphone, access to the interview, and takeout food from the best restaurants in Newark. She was doing just fine. To be fair, Newark does have great pizza. Whatever. Get in line. I've been sued lots of times before. Get in line. I'm happy to take it on.